Read our helpful guide to second hand BMW 745. AA Cars works closely with thousands of UK used car dealers to bring you one of the largest selections of BMW 745 cars on the market. You can also browse BMW dealers to find a second hand car close to you today. All used BMW 745 on the AA Cars website come with free 12 months breakdown cover. 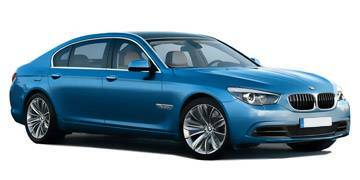 With a 4.4 litre, V8 engine, the BMW 745 is one of the mid-range models within the sizeable and luxurious 7 Series. Like all in the range, it is large and elaborately finished inside, featuring top quality leather and wood finishings, high levels of equipment and plenty of space. Its primary purpose is, after all, to act as limousine rather than invigorating grand tourer. Its hefty engine (there was once a diesel option, but most models feature the 4.4 litre petrol) propels the considerable weight of the 745 to 60mph in six seconds, while its six-speed gearbox confidently and smoothly manages its acceleration and deceleration. The 745 may not longer be a part of the 7 Series range, but it remains a solid and quality built premium executive, with power and reliability to match its prestige.